So many brands to choose from. Which one is the best? Ahh, now this is a question I was asked many times back when I worked in a camera store. Should I sell the customer the one I make the most money on so I get paid a bigger commission, or should I sell them the one that is really right for them? I worked in a camera store for over 20 years, and found that getting the right camera for the customer was the best thing in the end. 1- What camera company is the best? These are 11 major camera manufactures to choose from, maybe more. Which is the most reliable? They all are. Not one of these is more reliable than the other. Maybe one year one had a bad batch, but quickly changed their QC to be equal to the rest. How could one be more reliable and still be in business after all these years? 2- What do you think you will be taking pictures of the most? Portraits, scenery, close-ups, landscapes, low light photos, etc.? the variety of lenses that will accomplish my purpose? That may narrow it down. And who makes the best quality of lenses in that type of subject? Really? Do I have to really look at that? What about price? I have mentioned in my classes, and other articles, that you cannot scrimp on your lenses. The lens is what makes the picture. Period. But, then someone will ask me, “Don’t all of these camera manufactures make really good lenses now?” Yes, they do. 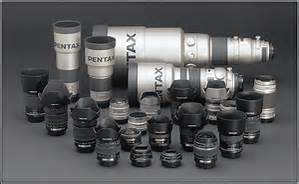 All of them make superb lenses, but, some work and feel different. Some focus differently, some focus quicker, some have coatings on them that make the colors more saturated, some have more durability, some make it so they are compatible in filter sizes across the board with the other lenses they make. Some make it so you can take a picture of a black bear at night time (exaggeration of course). What do you want your lens to do? Study it out and learn. Feel all the lenses. Some camera manufacturers have image stabilizers in the body and some have them in the lens. Check it all out. What? Really? 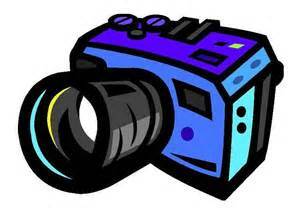 Are you buying a camera or a video camera? Do you realize that a video takes up a lot of memory on that memory card? Well, if you want to take videos with your camera then make sure you are ready for that. But, realize that the cameras that have good video capability are designed for those photographers who are taking certain types of photography as well such as sports photography, wildlife photography, action photography. I would not be so concerned about a camera that has great video if I was a portrait photographer. Remember, know what you are taking pictures of. 4- Should I pick a camera that has the most megapixels? and more now. Let me just say that 16 is incredible. Some manufactures are working to improve their 16 megapixel to outperform others. For example, when you take a picture of a building with windows from a distance, some cameras have a hard time with “bleed-through” on the images of the windows, while others do not. Some cameras with 16 megapixels actually look sharper than other manufactures 16 megapixels. Research your cameras and find out who is going the extra mile to do that. I do not want to bias any decision here, but, I know that some 16 megapixel cameras can outperform some those with 20 megapixels. Numbers don’t mean so much anymore. 5-When picking a camera do the LCD screens make a difference? Cameras all have LCD screens now and they are getting to be more versatile than ever. And I am of the opinion that they are a big key in picking your camera. Depending on what type of photography you choose to do, make sure you can see the image that you want to take as well as what you just photographed on this screen. If you are a landscape photographer, in the sunlight can you see the image on the screen or how did the picture you just took turn out? Can you see this picture on the screen now? If you can’t how can you correct your mistake? 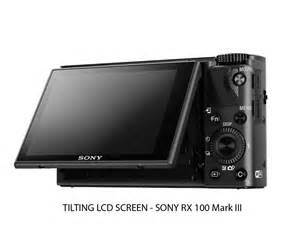 Some cameras now have screens that tilt and twist. If your profession is street photography and you are in a crowd of people, how can you see the image if you have the camera above your head? So many things to consider in choosing a camera now with the LCD screens. I just Googled (that’s a verb now) to see other opinions of how to pick cameras. I think I have covered everything. I think the other thing to make sure you need to do, that maybe I have missed, is just be comfortable with the camera. You are probably going to live with this equipment for a long time. Make sure it feels good to you, and you can learn all the features about it. Make sure it becomes a part of YOU! You are the photographer, and the camera is just an extension of YOU! I have sold a lot of cameras to people who spent a lot of money on cameras thinking that now they have paid all this money on this camera equipment, and will take great photos, then they found out that they were still lousy photographers. So, once you obtain the camera of your choice, continue to learn the rules of composition, and learn from the photos that are posted online, and on blogs, and from places you can learn how to use your camera. Learn how they are taken and practice, practice, practice. Can you ask me questions about buying a camera? I would love to be in touch with all those who read this blog. And look forward to the day that I can meet many of you who are so faithful in reading and sharing these blogs. 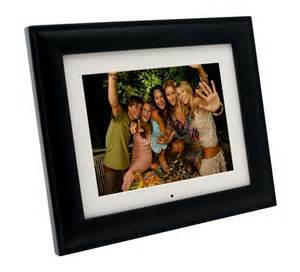 IS THE ONE PLACE YOU CAN GO FOR ALL YOUR SHOPPING NEEDS: PROFESSIONAL PHOTOS, CAMERA ACCESSORIES, AND GREAT GIFT IDEAS AND FUN THINGS FOR EVERYONE IN THE FAMILY.